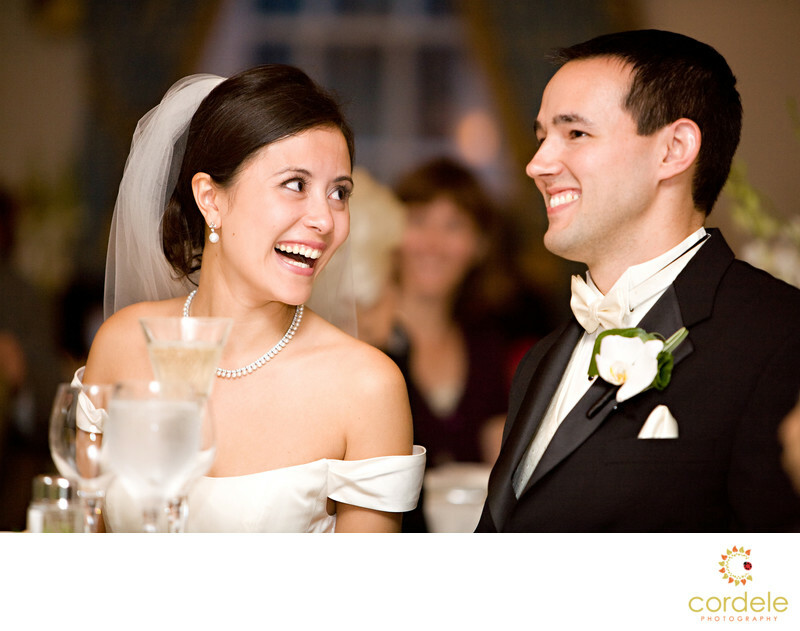 A bride laughing with her husband at a Taj Boston Wedding captured forever in her photos.. The bride is wearing a Monique Lhuillier dress and the groom is wearing a Calvin Klein Tux. The brides wedding colors were cream and white, and it was a hot summer day where they got married. The Taj hotel is located in the heart of the city and just a short walk from Acorn Street in Beacon hill and the bar that was used for the location of the show Cheers. The hotel use to be the old Ritz until they moved out of the building. Location: the Taj Boston, 15 Arlington St, Boston, MA 02116.